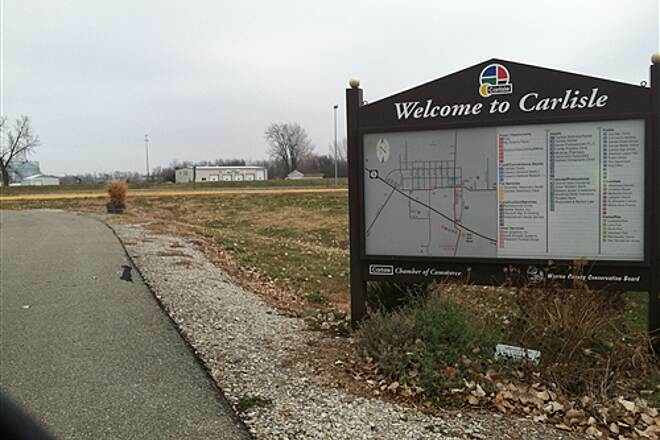 The Summerset Trail links the two central Iowa communities of Indianola and Carlisle, both of which have embraced the trail, including providing helpful signs at each end with clear directions for trail users to reach local amenities. Between the two towns, there is a lot of peaceful nothingness, with the dominant farm views ranging from an occasional peek through the surrounding tree cover to wide-open vistas. 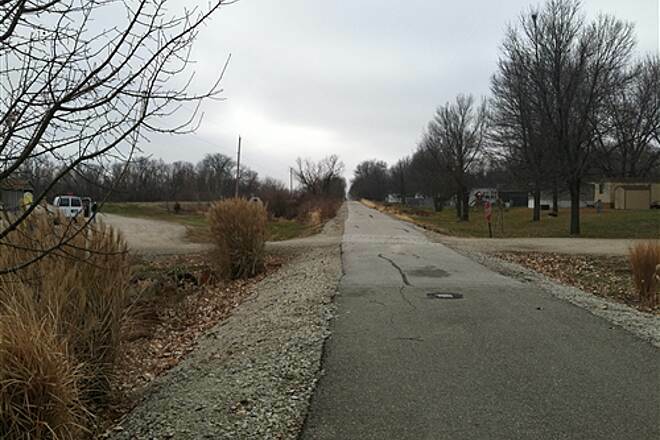 In Indianola, the Summerset Trail proceeds north from a well-appointed trailhead, while the connecting McVay Trail travels more than a mile southeast past the local high school to community softball fields. This easy access means that you’re likely to encounter cross-country teams and other area youth as you head north out of town on the longer trail to Carlisle. As you first travel north out of Indianola, you’ll encounter a few road crossings without signals where patience is required. 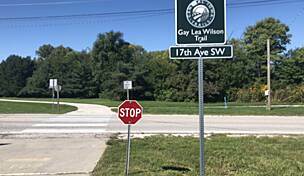 (Take some comfort in knowing that it is these frequent crossings that provide easy access to the trail for residents of the many nearby neighborhoods.) After East Hillcrest Avenue, the scene quickly turns rural in nature, and you won’t encounter another road—and sometimes another person—for miles. Enjoy the surrounding tree cover; you’ll lose the shade roughly halfway through the route, shortly after you pass an entrance to Banner Lakes at Summerset State Park. Consider taking a detour into the park to enjoy the water views. Losing the envelope of trees is a worthy trade for the spectacular scenery that is gained thereafter. Farmland seems to stretch endlessly in both directions, and in the summer, the trail is lined spectacularly by bright yellow wildflowers. The trail is joined by a parallel road for the final couple of miles into Carlisle, and an adjacent subdivision means that the trail becomes more frequented by families with young kids. In Carlisle, end at the large trailhead on the right, or briefly head west along State Route 5 and then north along South First Street to reach the community’s charming downtown. 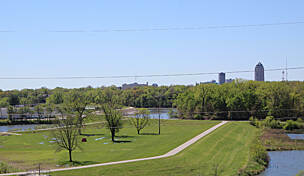 To reach the southern trailhead in Indianola from I-35, take Exit 56 for SR 92 W, and head east on SR 92 for 11.8 miles. Turn left onto S. Jefferson Way, go 0.2 mile, and then turn right onto E. Ashland Ave. and go 0.2 mile. Turn left onto N. Fifth St., go 0.2 mile, and turn left into the trailhead parking lot (restrooms and drinking fountains are available here). 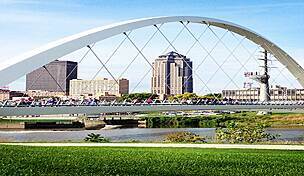 To reach the northern trailhead in Carlisle from I-35, take Exit 68 for SR 5 toward West Des Moines/Norwalk, and head south on IA 5 for 11.1 miles. Continue onto IA 5 S/US 65 N for 1.8 miles, and then take Exit 72 for SR 5 S toward Carlisle for 0.5 mile. Continue onto SR 5 S, and go 2.3 more miles. Turn right onto 165th Place, and turn right into the trailhead parking lot. around the corner from the parking lot, was closed for repairs. Otherwise, the trail was in good to excellent condition. The trail from Carlisle to Indianola, for the most part, runs slightly but noticeably uphill. There's a pit toilet at the Carlisle end-- enclosed on three sides by a shed to save it from tipping-- and a permanent, concrete double pit about halfway to Indianola, at the Banner State Park shooting range, just east of the trail. The ride was one of the best of our three-week long trip to date. The entire route from Carlisle to Indianola is quite picturesque. Most of the northern section, which runs through farmland, has a generous wooded buffer. The southern section passes through a state park and surrounding woodlands, crossing the Middle River en route. plots and a permanent bathroom with running water); continues for another half mile or so through a wooded area; and comes out at an older, wooden sign on N. 15th Street. Here, the McVay becomes a little harder to follow. When you cross the street, don't go straight ahead through the "Indianola WPC" gate. Rather, turn right (south); go up the hill past the "Trail View" development; cross IA 92, at the corner with Indianola Middle School; turn left (east); and continue to the Indianola Pickard Park Softball Fields, where you'll find picnic tables and, ideally, open bathrooms with running water, as did we. 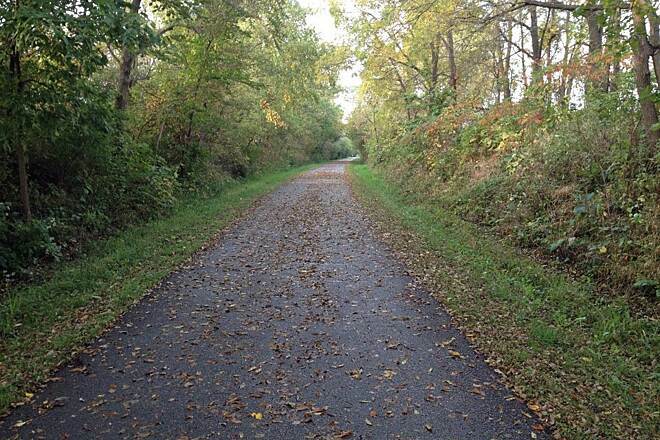 Rode this trail September 3, 2015, from Indianola to Carlisle. It has a large variety of landscapes, as others have mentioned, and was very enjoyable, until at approximately 1 mile from the trailhead I came to a street crossing. On the other side of the street the trail was completely blocked with a "Road Closed" barricade and orange plastic mesh stretched across between two posts. There were no directions as to a detour. I took the street that more or less paralleled the trail, and followed it to Iowa 5, which is the road on which the trailhead is located. This is a 4-lane highway with heavy truck traffic, so I did not follow it to find the trailhead, but merely turned around and rode back to Indianola. A very nice ride, but currently spoiled by inattention to detail. Should be more than 3 stars, but not today! Very nice trail. I ride it weekly. 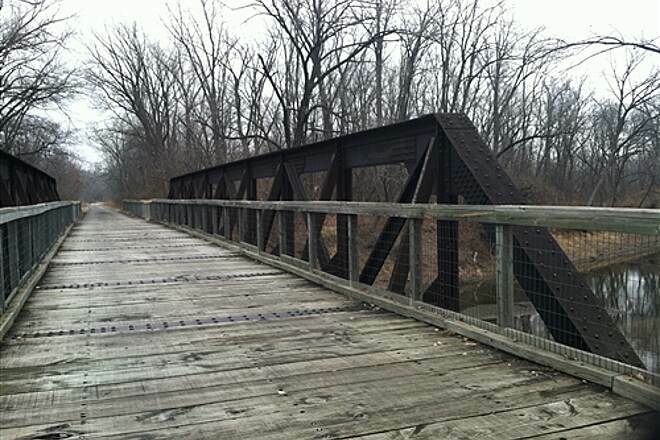 I reviewed this trail in March 2014. This spring the cracks that had swelled causing a very rough trail in spots have been ground down. This was a great improvement. A couple of the roughest bridges have been over laid with blacktop, also a great improvement. I liked this trail. It was quiet and I felt I could ride at my own pace. Pretty Iowa countryside. Good for a beginner rider! The scenery is great, woods to prairie. Frequent deer sightings and have even seen geese, turkey and bobcat (only once) on the trail. As with most rails to trails the grade is not difficult. More noticeable on the south half going "uphill" to Indianola. If you want a good climb, take Summerset Road to the east and ride to Summerset Winery. This blacktop road is just south of the Banner Lakes at Summerset State Park. I live close to this trail and frequently ride it. It was a premium trail when it was first constructed. Over time, without a lot of maintenance, it has deteriorated. Last summer's (2013) dry weather has made large cracks in parts of the trail. The multiple bridges have always been very rough, especially on a road bike. Air up and go easy on them. I will never ride this trail again unless the wind is straight out of the west or it has just rained. 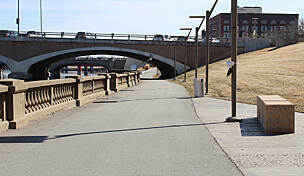 From Carlisle, for the first few miles, the trail runs parallel with a white rock road. Everything is coated in dust. There were times I couldn't see the trail in front of me. It was nice after that. We rode this trail on a holiday weekend as part of a trip through Iowa. 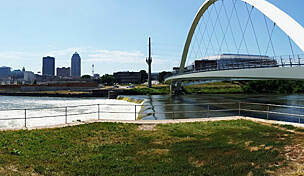 There was a triathlon in Des Moines that blocked access to the trail we had intended to ride, and we detoured to the Summerset trail as an alternative. There are full facilities at the Indianola trailhead, and only a couple of parking spaces were in use. The downhill ride to Carlisle was fast, the pavement smooth, and the wooded scenery on the southern half of the trail through the state park was very nice. There were not too many road crossings to make, and none of them were busy highways. There were other trail users along the whole route, but even on a Sunday it was not crowded. The northern half of the trail is dead flat, more open and less scenic, but still made a nice ride. The trail passes an unpaved parking lot in Carlisle with a porta-potty, then turns into a sidewalk along a busy highway at which point we turned around. The return uphill to Indianola was not difficult, as the grade is slight. 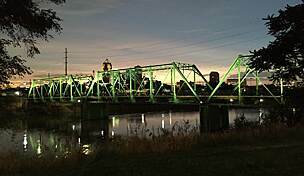 Rode the trail the first time this past week, starting in Carlisle at the North End. 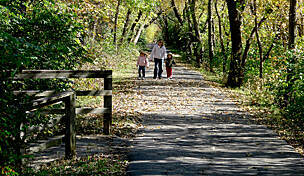 Trail passes through some pretty countryside including several wildlife preserves and a state park. A few miles outside of Indianola the grade does increase slightly as you climb into town. 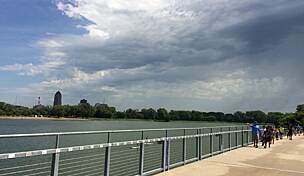 In downtown Indianola, there is a connecting trail that will take you to a city park and recreation facility on the south side of the community. Very enjoyable ride through the rolling hills of Warren County! I agree this is a good trail for those getting into trail riding. The southern section is much more scenic than the northern section. 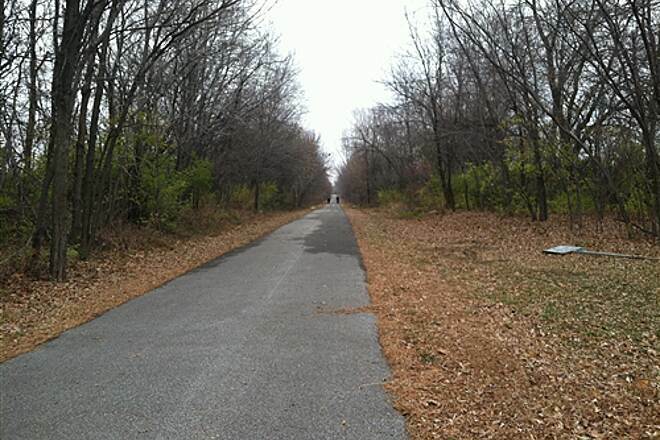 I'm thankful that this ex-Rock Island branch line was saved and turned into a trail. I ride this trail often. 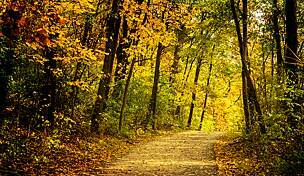 It is a nice easy trail. I would agree start in Carlisle so the down hill is the second leg of your trip. There is an ice cream/sandwich shop call Fizz great place to stop after your ride. Indianola has lots of spots to grab a bite. On Tuesday evenings Indianola has free Blue Grass concerts on the town square. "To make the ride as easy as possible, begin in Carlisle. It is uphill most of the way to the State Park, and then all the way from the State Park to Indianola. 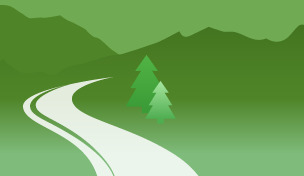 We always like to ride uphill first, making the ride back, after your legs begin to tire, the easiest part of the ride." 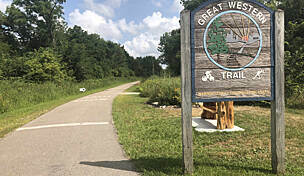 "I live between the Summerset Trail and the Great Western Trail (about 13 miles apart), so I ride each frequently. The Summerset Trail winds a mile or so through the industrial section of Indianola, but then you cross the highway and enter the timber. This is a great 22-mile roundtrip. It's a perfect trail to introduce newbies to the fun of trail riding; it is easy riding, scenic, and with towns of 13,000 and 5,000 on each end there are plenty of amenities to be found, including the friendly Dog House Bikes conveniently located at the Indianola trailhead."